The following are the minimum system requirements for running our courses. Note: Our courses are not currently fully compatible with Microsoft Edge and Safari browsers. Download latest version of Flash here. Please note that Keynote courses are NOT currently compatible with mobile devices or tablets with exception to the following courses: Beneath the Surface: Understanding the Anatomy of a House, Meeting the Needs of Buyers and Sellers, and Fair Housing. I just purchased a course, but haven’t received an email yet? What can I do? Visit this link to reset your password. Chances are the online system has your information, so resetting your password will gain you access to the course(s) you purchased. Your username will likely be the email you used to purchase the course. However, if you are unable to reset your password, it’s possible your card didn’t process properly. If this is the case, please contact our Tech Support M-F, 7:00-7:00 CST | Weekends 8-noon at support@keynotecommunity.freshdesk.com. I cannot access my Keynote courses or log into my account. Visit this link to reset your password. Your username will likely be the email you used to purchase the course. This will gain you access and you can start on your course(s) any time from the Dashboard. The course is frozen; I cannot seem to move ahead or back. What now? Check your internet connection (see System Requirements). Close the frozen module by clicking “Exit” in the upper right-hand corner of the dashboard and reloading the course by selecting “Start this course.” Always click “Yes” when asked to resume where you left off. Be sure you are using a supported browser; we recommend Mozilla Firefox. If you find that your computer requirements don’t meet our minimum standards or that your Internet speed is too slow, you can move to another computer to complete the class. If none of this helps, or if you have no other options for taking your class online, please contact us at support@keynotecommunity.freshdesk.com. Why is video playback so choppy? Click the “HD” icon at the bottom right of your video and select a lower resolution. Try letting the video buffer before you view it. To do this, pause the video, allow the light gray bar to advance, and then try playing your video again. Playback should smooth when viewing within the light gray buffer region. Close other browser tabs and windows. Make sure you have a good internet connection and the latest version of Flash running on your computer (See Minimum System Requirements). Switch to our recommended browser, Mozilla Firefox. I am on a Video Lecture but there is no video or audio displayed. How do I get the video to load? I can hear the audio, but my video is not displaying. Why can’t I see the video? Can I start and stop and/or use multiple computers to complete the course? 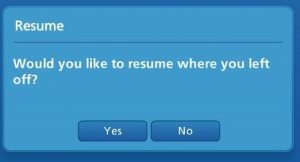 Be sure to click “yes” to resume your presentation where you left off. *Texas students are an exception to this rule due to identification processes. If I’m going to step away from my computer, can I leave the course open while I am away? No, if you are going to step away from your computer, please be sure to “Exit” the course fully. If your computer becomes inactive, the system will automatically log you out. To avoid losing work, be sure to “Exit” the course fully if your computer is inactive. I clicked on a link to a website outside the module but I don’t see anything! It is possible a new window opened behind the course; minimize the course window to check. How do I get the course handouts? If your course requires you to use Handouts, they will be provided in the “Additional References” section of your Course Dashboard. Simply click on the document hyperlink and you will have the option to open or save the document to your computer. It may also be helpful to print these documents for easy access during the course. Note: If your course has already started, you will need to click the “Exit” button on the top right of your course browser to access your handouts and documents. Don’t worry about losing your place in the course as you will have the option to Resume after continuing the course. The course description on your Association’s purchase page shows the credit hours offered. How many days do I have to complete a Keynote Series video-based course? Students have 45 days from the date of purchase to complete their Keynote Series video-based course. The course due date can be found on your Keynote course dashboard and you will receive an email reminder 7 days before the course expiration. Please note that this expiration period only applies to Keynote Series video-based courses. Students registering for Kansas Association of REALTORS online CE courses (any course not listed under the Keynote Series category), should refer to their course dashboard for expiration information for these courses. Do I need to complete the modules within a course in any particular order? Yes, most of the courses progress and build on the previous module and you will be unable to skip ahead. Do I need to take the courses in any particular order (if I have registered for more than one)? No. Choose any order that interests you. Do I have to watch the whole video? Each module has a video lecture. This video can range in time, depending on the content. You are required to watch the entire video and you cannot skip ahead until it is finished. After the initial Video Lecture and interactive activities, there are Review Videos and other shorter video clips included in each module. The Review Videos are NOT mandatory and you skip them at any time. If your state requires a final exam, you must pass the exam in order to receive CE credit. You will be given a number of attempts to pass the final exam depending on your state’s requirements. If you do not pass the exam, you will be required to re-take the course before trying again. I successfully completed the final exam, but I didn’t receive my certificate. Now what? Make sure you have completed the Survey followed by the “Get My Certificate” section of the course to generate your certificate. If you still require assistance, please contact Tech Support and we will be happy to help. I completed the exam successfully, filled out the information for my certificate, but I forgot to download a copy. What do I do? A copy of your certificate is automatically emailed to you at the completion of the course. If you still need a copy, please contact Tech Support. We have copies of your certificate in our files and can provide a copy to you and will make sure your real estate commission receives a copy as well. I have successfully completed my Keynote course. When will my CE credit show up? Credit processing varies with each state. Please allow 2-3 weeks for course credit to appear. For more information on CE credit, please contact your state realtor association. No. The course software requires active participation throughout the course and is designed for a single user. Only the student who has enrolled in and paid for the course can receive credit for it. It’s just like a classroom course; everyone must enroll separately and do the work. My spouse and I share an email address and we both want to purchase a course. Can we use the same email address? No. One of you needs to acquire another email address. The system recognizes unique users by email address. Furthermore, you MUST use the email you used when you purchased the course. So, if a husband and wife, for instance, use the same email to purchase two courses, the system will only recognize that as one unique user with two courses. If this happens, please contact us so we can enter your new email address into the system and manually associate it with the proper course. I’ve taken the Final Exam twice and failed both times. I took the course again, but now it won’t let me re-take the exam. It keeps saying I’ve got to retake the course. What gives? If you do not pass both Final Exam A and Final Exam B, you will have to retake the course. After retaking the course, once you get to the Exam Module, you will be prompted “Would you like to resume where you left off?” Choose No, instead of Yes. This will allow you to retake the Exam(s). Students will receive full refunds for any course(s) purchased prior to starting the course(s). No refunds will be approved for courses that students have opened. For further technical support, please contact support@keynotecommunity.freshdesk.com.